JACKSONVILLE, Fla. – Yannick Ngakoue has a knack for the strip-sack, an innate ability to knock balls out of the hands of quarterbacks. 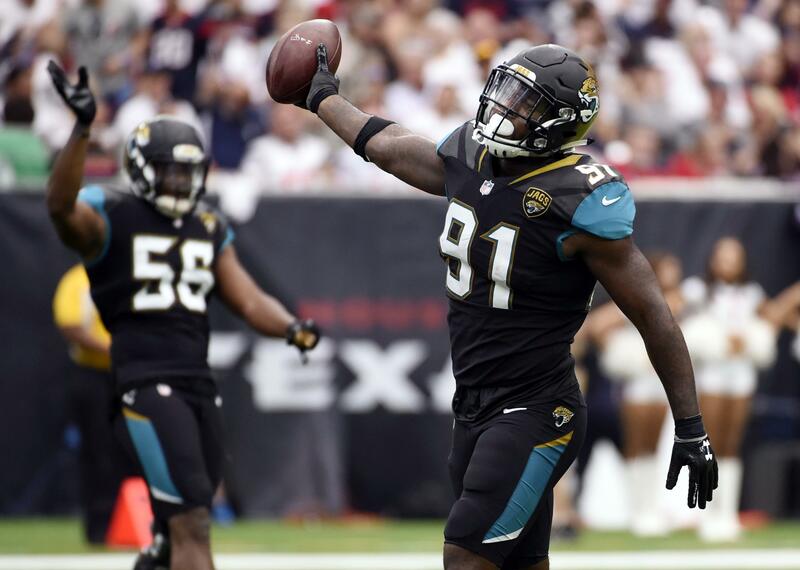 Ngakoue has been involved in five of the eight touchdowns scored by Jacksonville’s defense this season. Four of his strip-sacks went for touchdowns, and he recovered a fumble in Week 17 at Tennessee that he returned 67 yards for a score. “I tell him all the time, `When you start getting it like you’re going to get very soon, just make sure you stay focused cause that is a motivating factor and it should be,’“ Campbell said. “Everybody wants to get your accolade and get your respect for how hard you work, but at the end of the day, his biggest motivation is providing for his family and his mother and really just trying to be the best. Published: Jan. 17, 2018, 2:07 p.m.